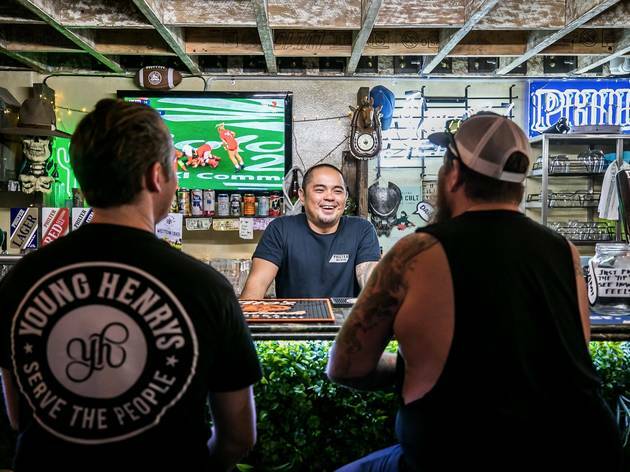 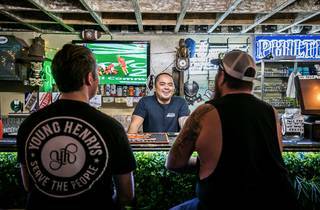 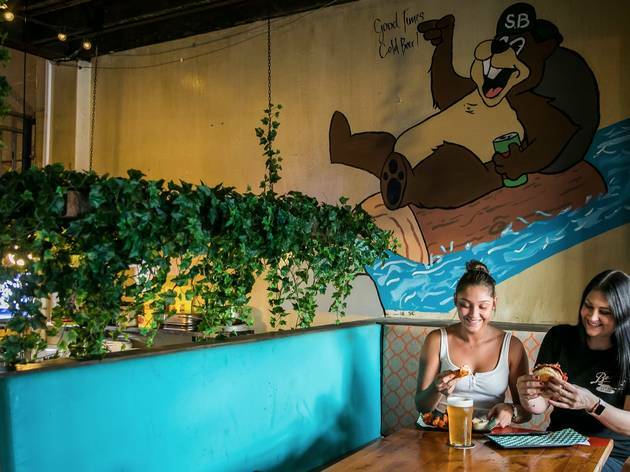 For what dive bars lack in finesse, they usually make up for with plenty of character, rollicking good times and a rough-around-the-edges-but-loveable feel. 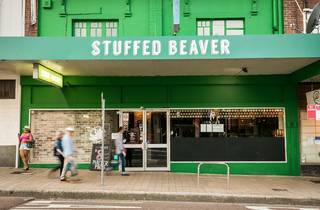 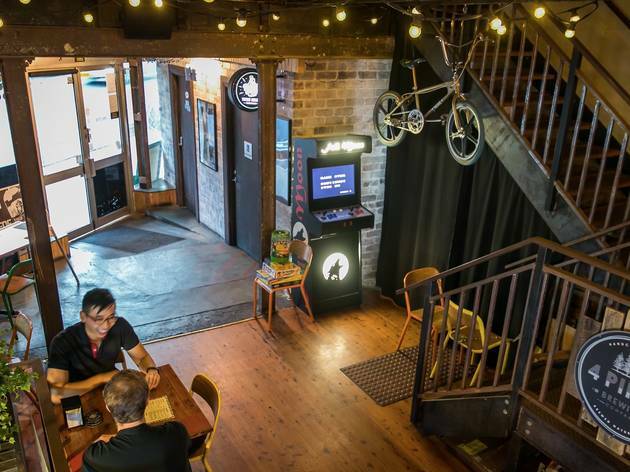 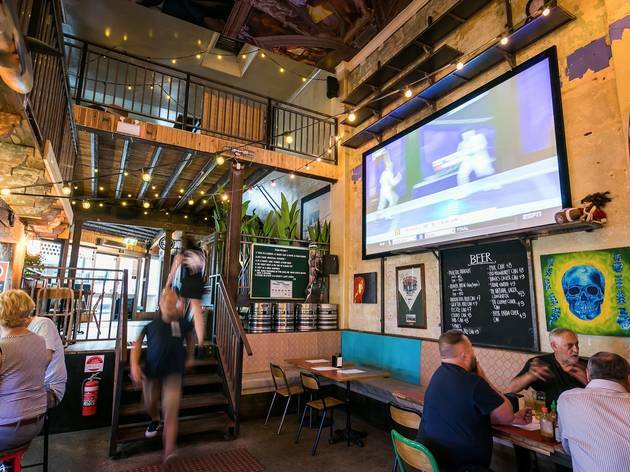 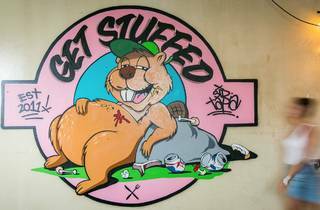 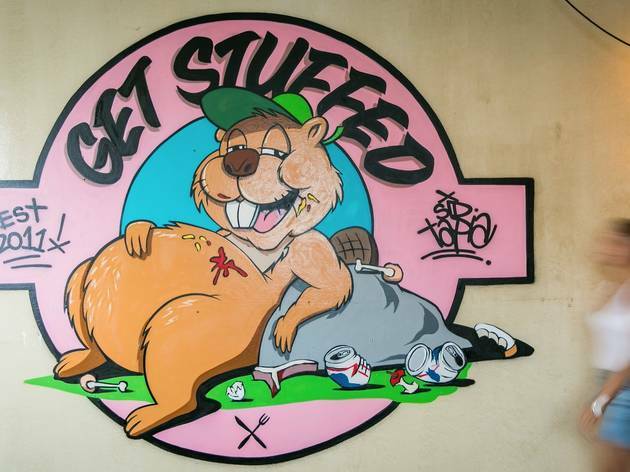 The Stuffed Beaver in Bondi has capitalised on this feeling for the past six years, slinging poutine, screening wrestling matches and nursing hangovers with Bloody Caesars. 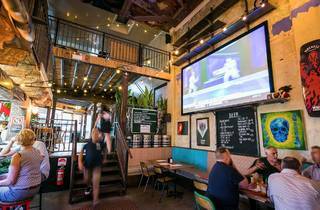 Now the north side has its turn to enjoy the fun. 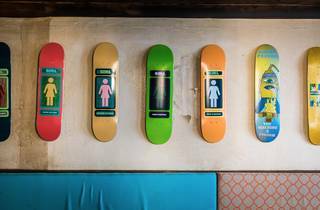 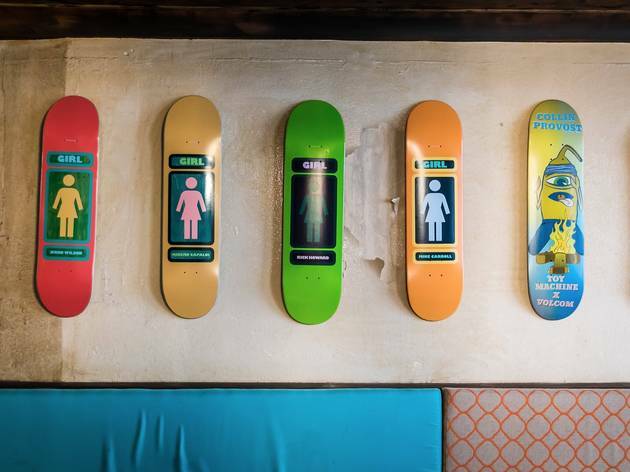 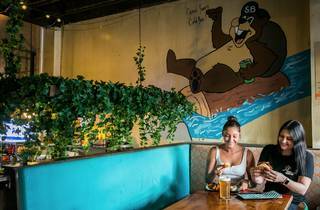 Beaver 2.0 is much bigger than its Bondi sibling and it’s more of a diner than a dive bar – found in a multi-level, former Mexican joint. 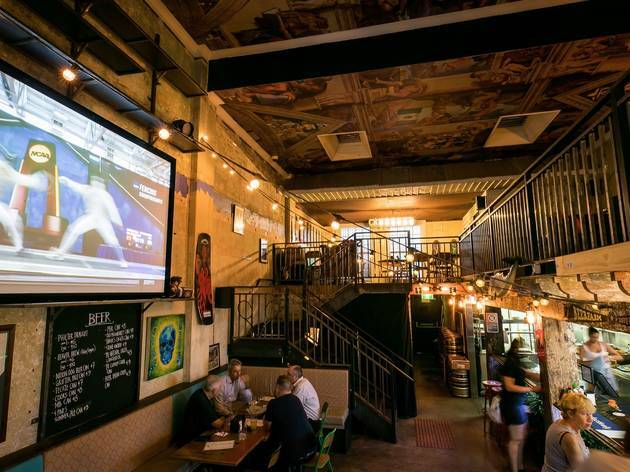 The large space should be a plus but the upper levels feel a bit disjointed, making the place feel empty even when there’s a decent number of punters. 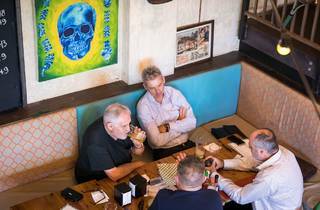 A thumping soundtrack of AC/DC, David Bowie and Foreigner make the place feel more welcoming, as does the super friendly and attentive service. 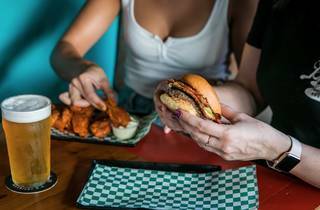 On the food front it’s the same deal as Bondi: burgers, wings, poutine and hot dogs. 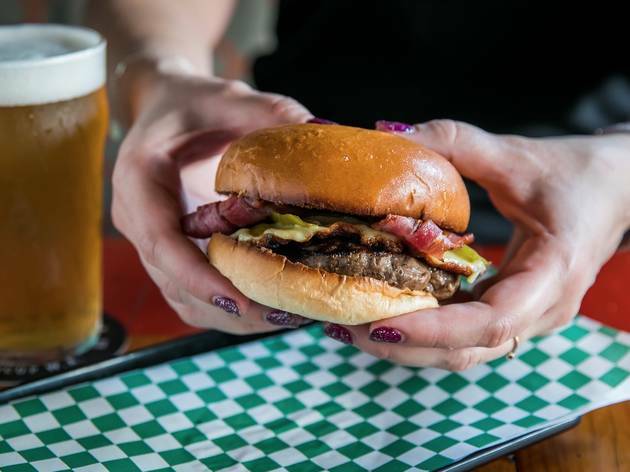 Burgers like the John Candy, are hearty, two-handers. 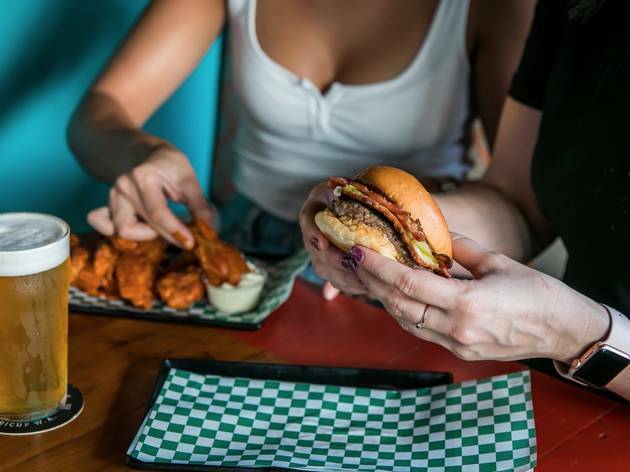 Unfortunately the beef is overdone and the fried cheese gets lost in the burger overall. 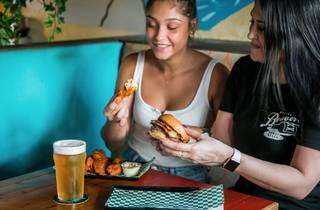 At $16.99 we wish there were fries included, too. 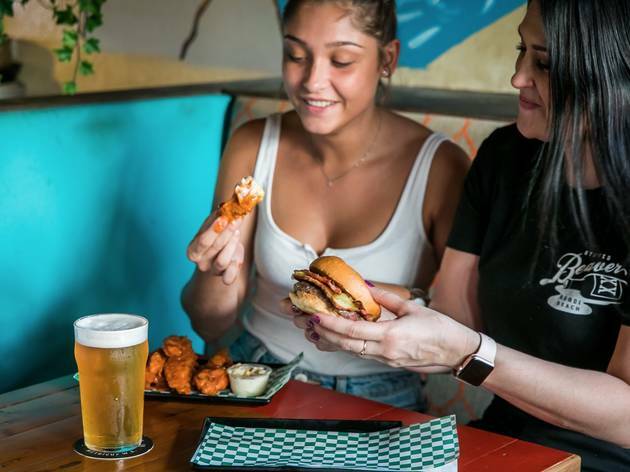 Instead, go for the lunch special where you get a cheeseburger and fries for a tenner, or head in on Monday evening for $5 cheeseburgers and $5 Moondog tins. 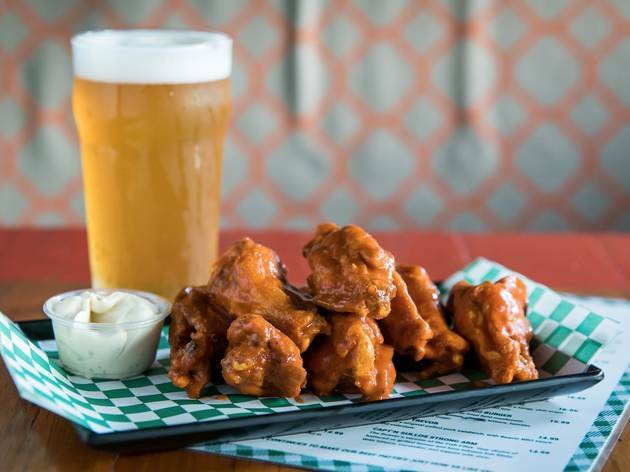 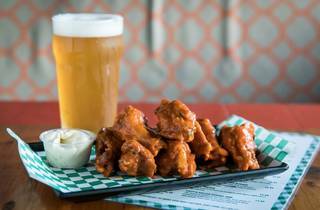 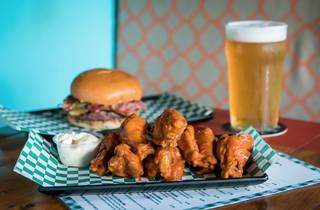 The chicken wings are good – the vinegary, spicy, slippery morsels go down damn well with the bespoke Beaver Brew, a collaborative beer from the Stuffed Beaver Philter Brewery. 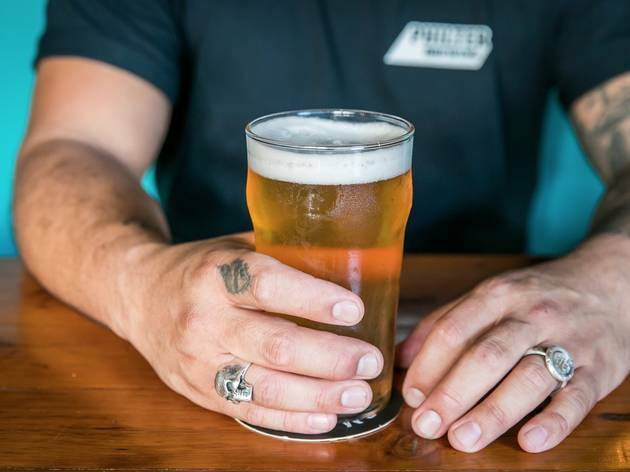 You’ll also find plenty of Philter brews on tap, plus tins including Tecate, Pabst Blue Ribbon and Coors. 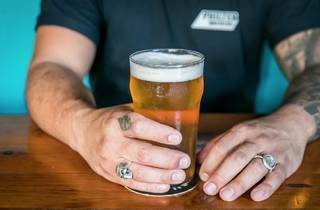 (There’s talk of plans for craft beer tasting rooms, which will make sense in the large the space). 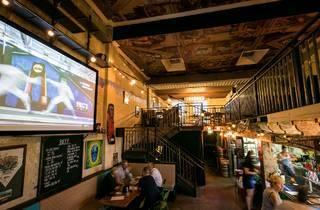 You’ll also find a huge screen showing surfing, wrestling and footy matches, plus arcade and board games to invite some fun. 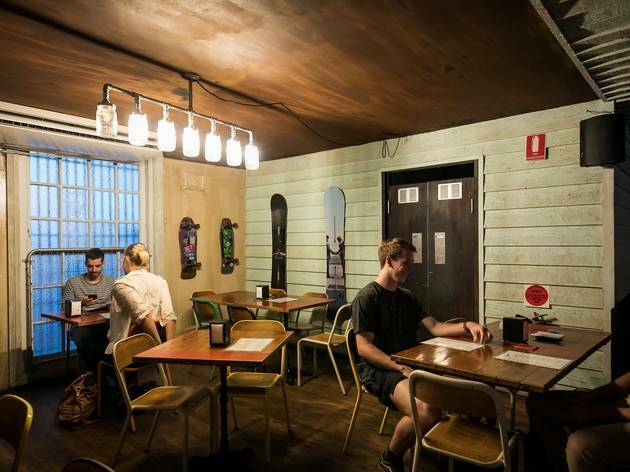 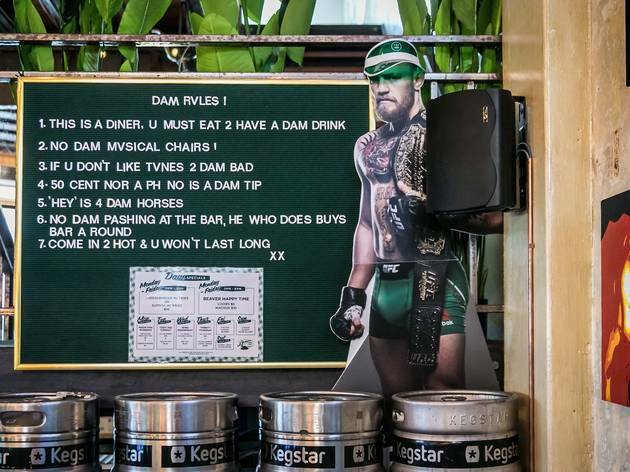 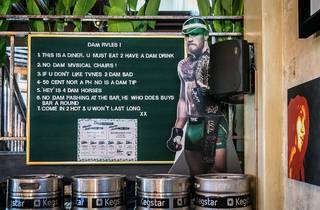 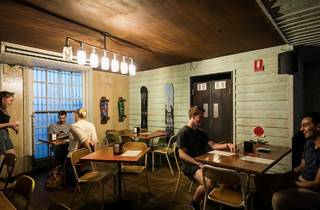 Unlike Bondi, this place is a diner, meaning you need to order food to have a drink. 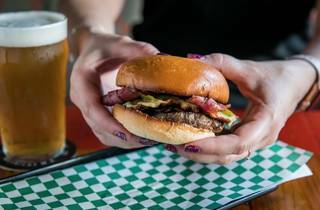 We’d prefer the burgers spend a little less time on the grill to make it a dining destination worth crossing the Bridge for. 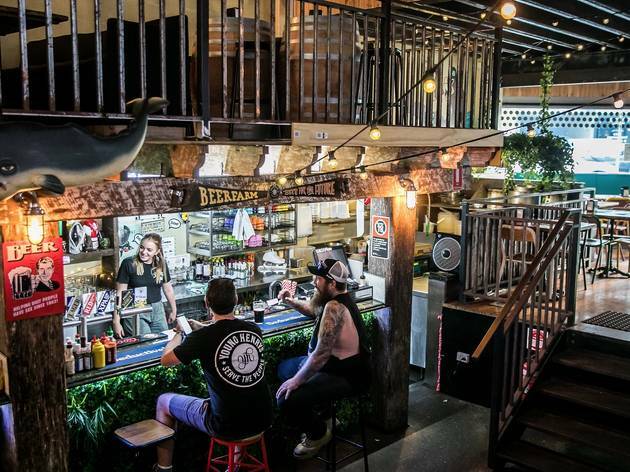 Though Crows Nest isn’t at the forefront of cool when it comes to food and drink in Sydney, there’s no excuse for dropping the ball when it comes to grilling a good burger. 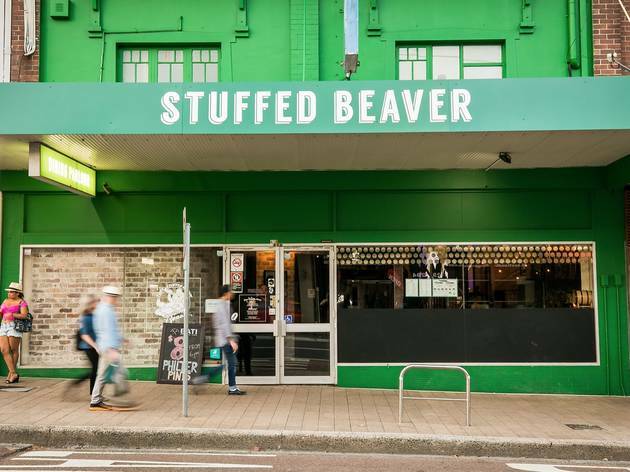 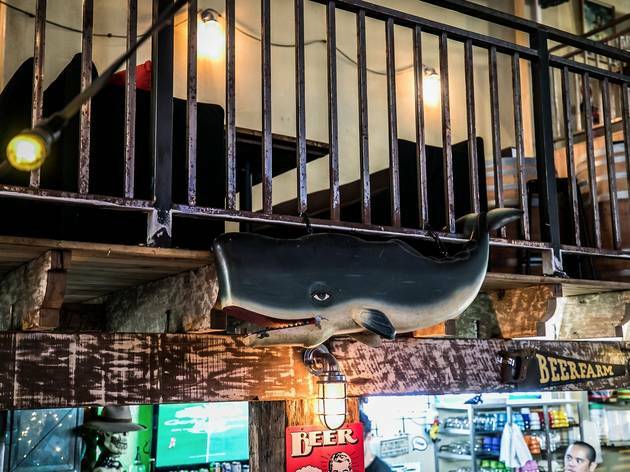 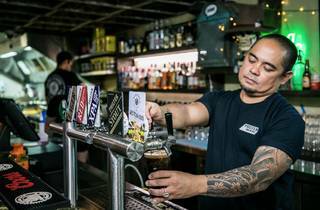 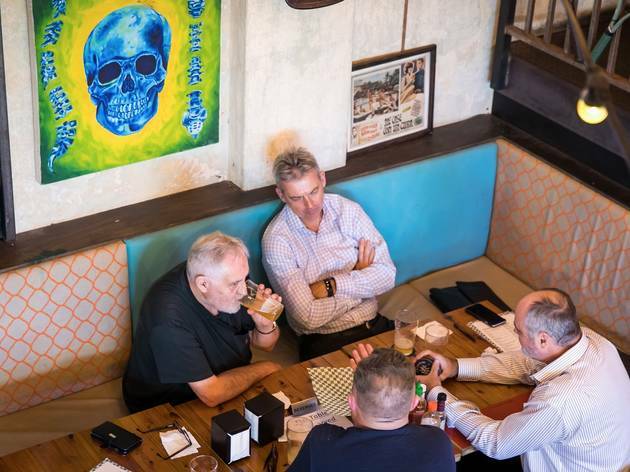 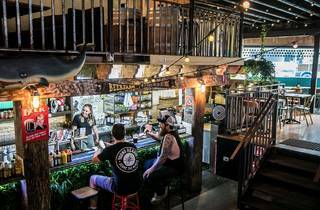 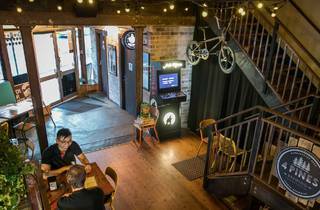 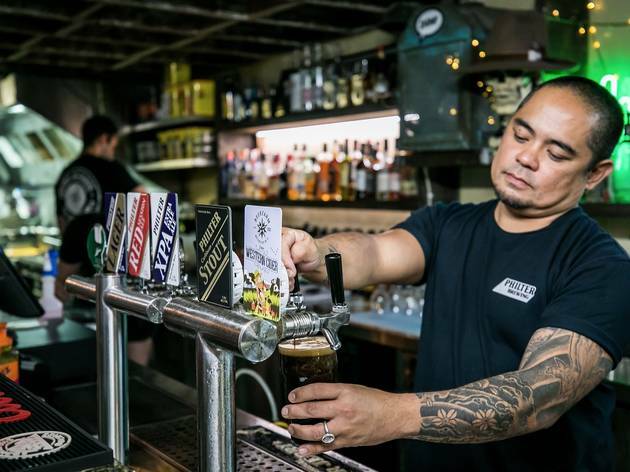 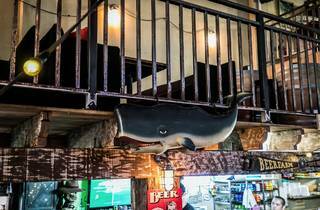 If the Stuffed Beaver in Crows Nest can work on their grill time and bring a bit more of Bondi’s charm to the north, then the Crows Nest rendition will be more convincing. 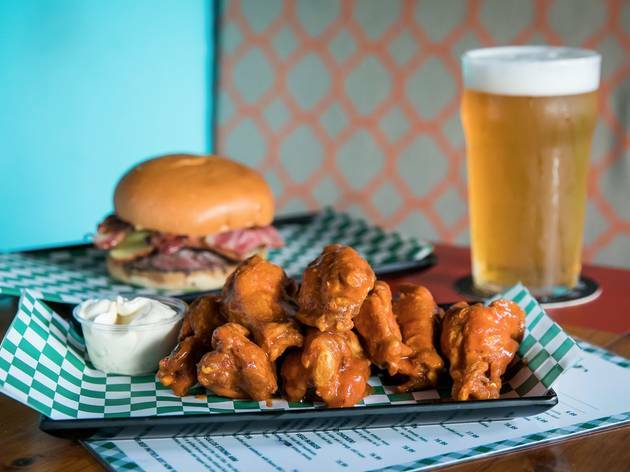 Until then, head in for some chicken wings and tins.